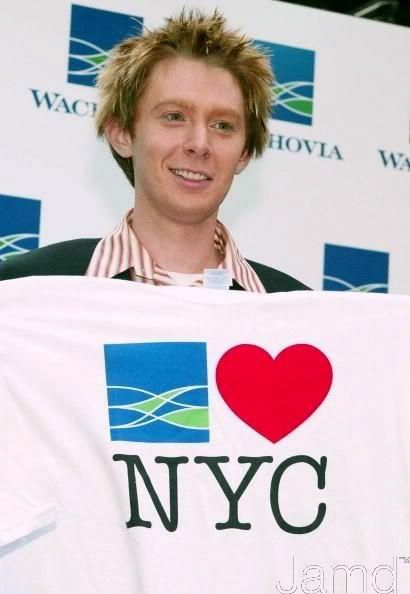 Clay Aiken – 10th Year Celebrations! It was exciting on Wednesday to post the information about the National Inclusion Project’s Champion Gala. Everything I read sounded like it is going to be a wonderful week-end. If you missed the information, you can read it on yesterday’s blog. Realizing that this is the 10th year celebration of the Project, I thought it might be fun to take a trip back to the very beginning of the Bubel/Aiken Foundation. 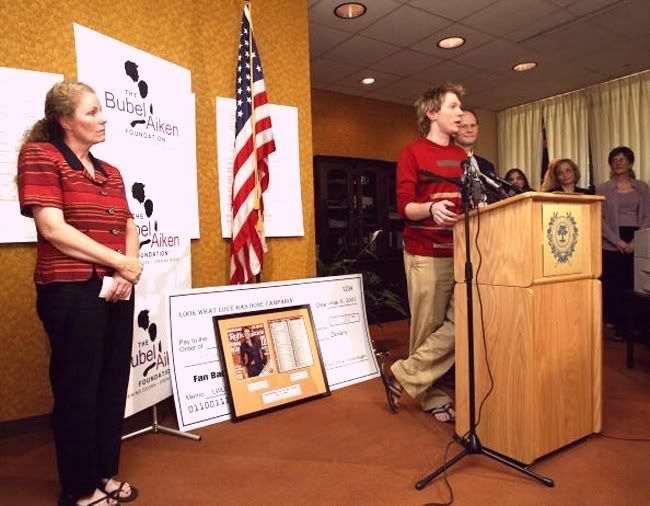 Do you remember what is usually considered the first public event for The Bubel/Aiken Foundation? 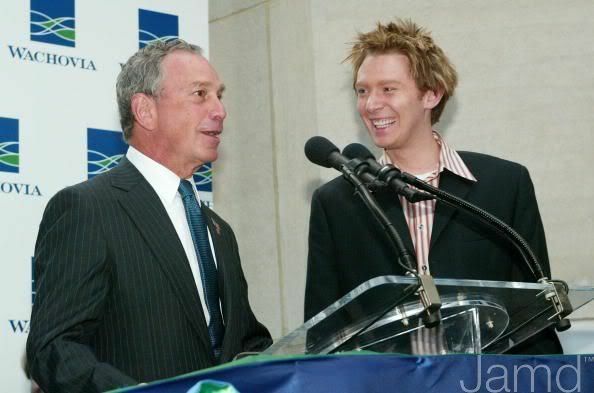 It took place on July 28, 2003 while Clay Aiken was in New York City. 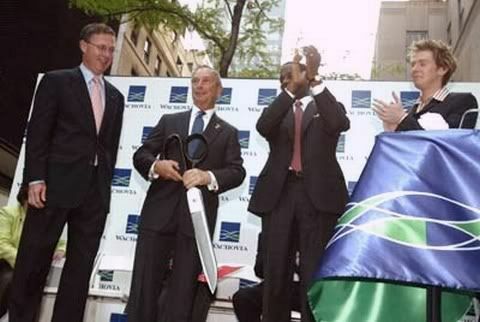 Clay was asked to join the mayor and other dignitaries to help open the New York branch of the Wachovia Bank. Clay surprised the bank officials by opening up an account for the Bubel/Aiken Foundation. The bank then turned around and added a donation to the account. On August 6, 2003, the American Idol Tour made a stop in Raleigh, North Carolina. Clay and Diane Bubel held a press conference to officially announce the formation of the Bubel/Aiken Foundation. At the press conference, Diane and Clay accepted a check from a group of fans who had gotten together to raise money for the new foundation. The Bubel/Aiken Foundation will serve to bridge the gap that exists between young people with special needs and the world around them. We will support communities and programs in creating awareness and opportunities for full inclusion where barriers break and doors open. It is out goal to create an environment for children where inclusion is embraced. It is so much fun to look back and remember and realize how many children have been affected by the National Inclusion Project. Do you plan to attend the Champions Gala in October? LOVE YOU CLAY, ALWAYS AND FOREVER!!! I certainly will be there again! Wouldn't miss it! Thank goodness for income tax money!!! Maybe we will be sitting a table apart again! I had fun following you to meet you! Love those early photos of Clay! He was so young!!! Not sure if I can make it this year, or not. It's a long drive, and flights are so expensive. Even if I can't make it in person, I will definitely purchase a ticket. After all, it's for the kids. 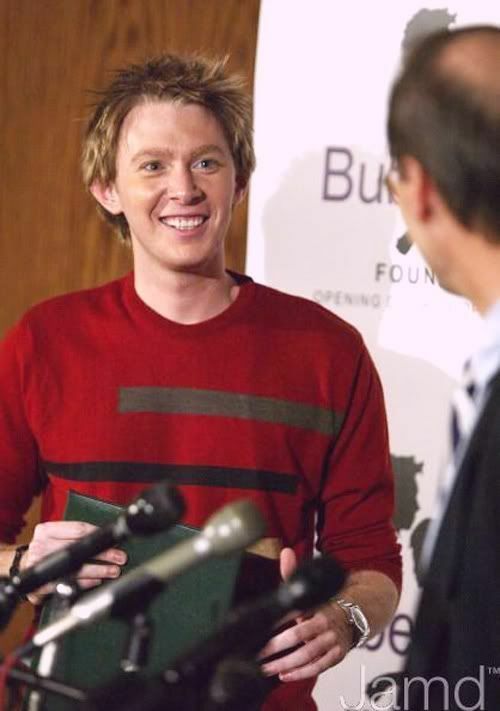 Loved looking at all these pics of Clay starting up the Foundation back in 2003. Clay was certainly good to his word, as always. I really enjoyed your column today. Clay, Diane, Jerry and all the others involved in the National Inclusion Project should be quite proud of the accomplishment that they have achieved in only 10 years. They have touched so many lives. I enjoyed looking at the pictures of Clay also. The Gala sounds like it will be a wonderful event. I hope lots of money is raised to support the children! I'm planning on attending this Gala and sure hope nothing prevents me from going. What a wonderful article about how The National Inclusion Project got started 10 years ago. They have really progressed and helped many children. Clay is a man of his word. I hope they raise a lot of money for the project this year. Loved looking at all the pictures of Clay. He looks so young…but, he always knew what he was doing…and succeeded. it will be a big success for NIP. Error: Error validating access token: Session has expired on Tuesday, 21-Aug-18 16:13:01 PDT. The current time is Wednesday, 24-Apr-19 05:33:33 PDT.